There is no better feeling than growing your own food with seeds that you have saved from the previous season. I am reminded of this joy as I prepare to plant this years crop of sugar snap peas. For the last 5 years I have been saving open pollinated sugar snap peas and it’s been a joyful experience. While I have only saved sugar snap pea seeds so far, in the near future I would like to try saving other varieties of vegetables as well. One of the reasons I decided years ago to start growing open pollinated varieties of seeds was the idea of being able to save seeds from season to season. This seemed like a great way to save money and be more self-sufficient. If you are not already growing open pollinated varieties, I would recommend that you give them a chance and while you’re at it try saving some seeds. If you are interested in learning more about seed saving, I would recommend reading the book Seed to Seed by Suzanne Ashworth. 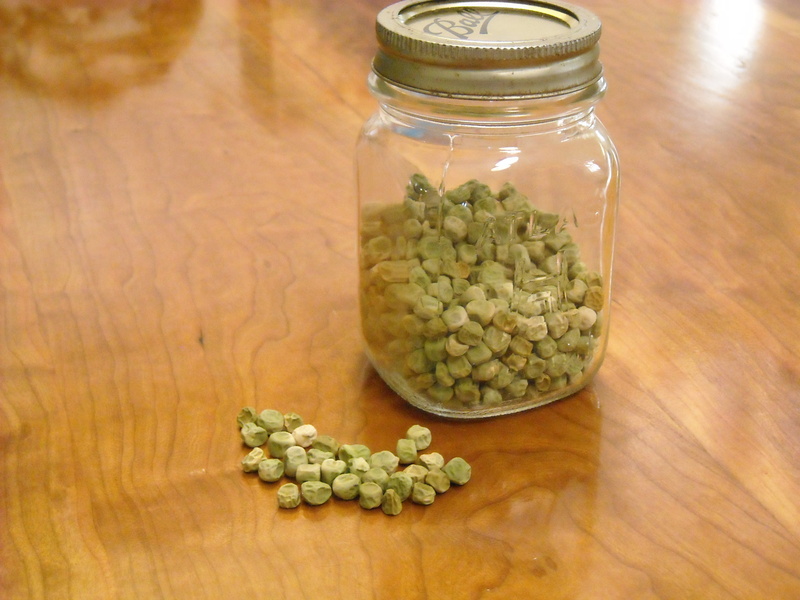 Another great resource is the organization Seed Savers Exchange, which has some great resources available on their website. I will keep you posted on my progress and experiences with seed saving as the season goes on. This entry was posted in Seed Saving and tagged gardening, Homesteading, seeds, Urban Gardening by M Riland. Bookmark the permalink. I save my Chinese long beans, bittermelons, and amaranth seeds and some others whenever possible.